People with heart disease who eat a traditional Southern diet (rich in meat and fried foods) may be more likely to die sooner than people who follow a plant-based Mediterranean-style diet. So says a study in the July 12 Journal of the American Heart Association that focused on people with a history of heart disease, such as a heart attack or bypass surgery. Researchers conducted dietary assessments on 3,562 people ages 45 and older and tracked them for about seven years. 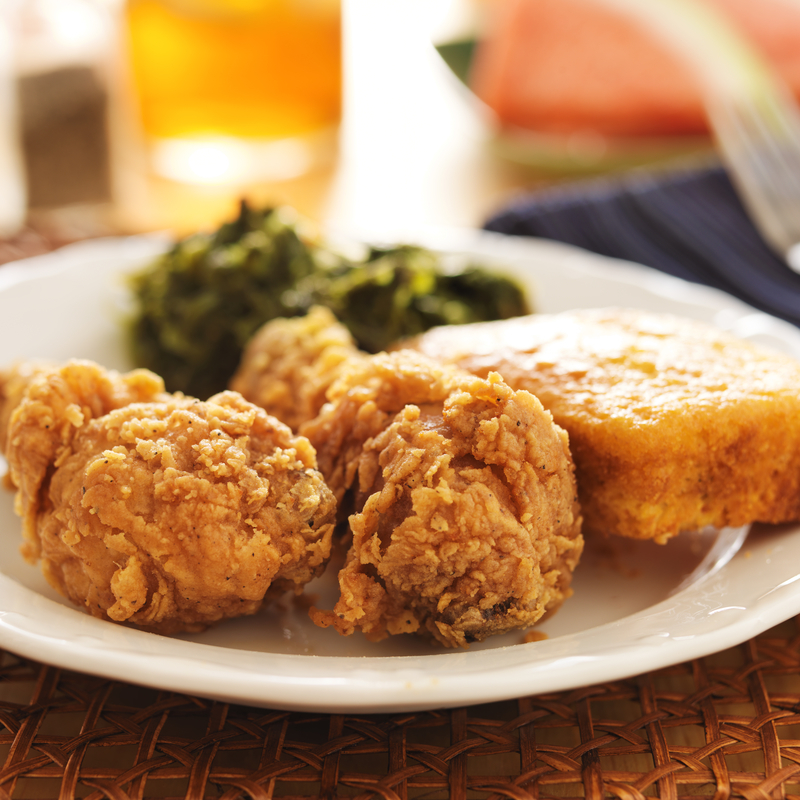 The Southern diet (which isn't necessarily restricted to the southern states) is high in added fats, fried food, eggs, processed meat, and sugary beverages. The Mediterranean diet is rich in vegetables, fruits, fish, whole grains, and legumes, and low in meat and dairy. Researchers found that the more closely someone followed a Southern-style diet, the higher their risk of dying during the study period. Those who adhered more closely to a Mediterranean eating pattern had a lower risk of both additional heart problems and death.